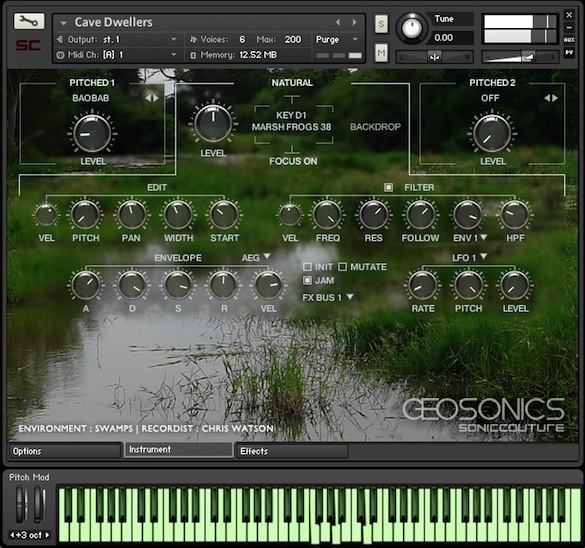 Soniccouture & Touch are pleased to announce a new virtual instrument: Geosonics. A collaboration with award-winning field recordist Chris Watson, Geosonics delves deep into Watsons vast archives to form a library of rare sonic artefacts that cannot be found anywhere else. 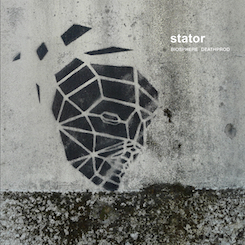 Using this unique collection of audio as a starting point, Soniccouture created additional sound design material ; waves and sampled textures which, when layered and combined with Watson's original recordings create playable, musically useful soundscapes and pads. 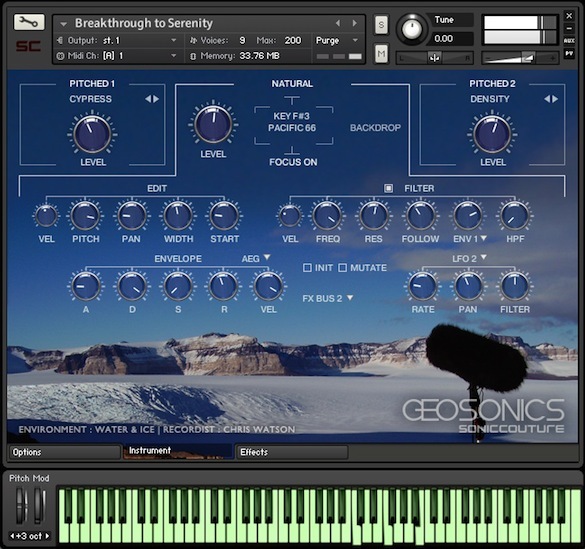 The Geosonics instrument makes it possible to create playable, musical soundscapes using Watsons incredible recordings - ice storms from the North Pole, Glaciers from iceland, tree frogs from Madagascan frogs, with over 400 presets by leading sound designers. 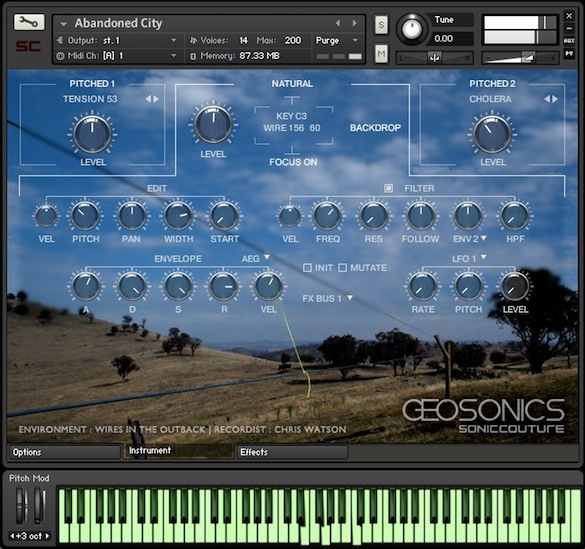 The Geosonics Virtual instrument is produced in Native Instruments Kontakt 5 format. Kontakt 5 is the industry-standard software sampler, for which many top sampled instrument libraries are now produced. 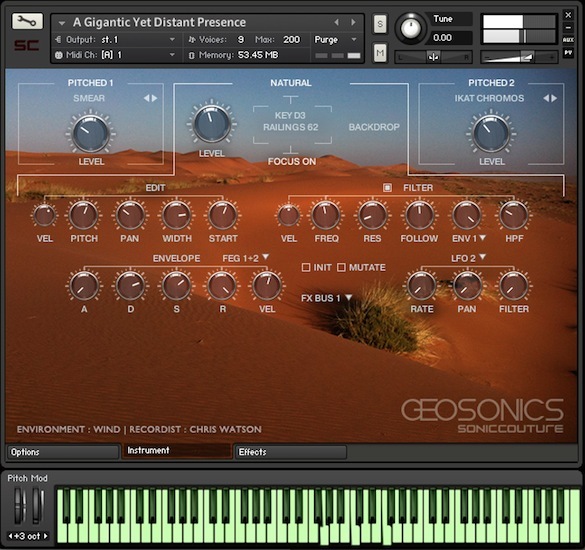 You do not need to own a license for Kontakt 5, because Geosonics can be used in the free Konakt Player software.